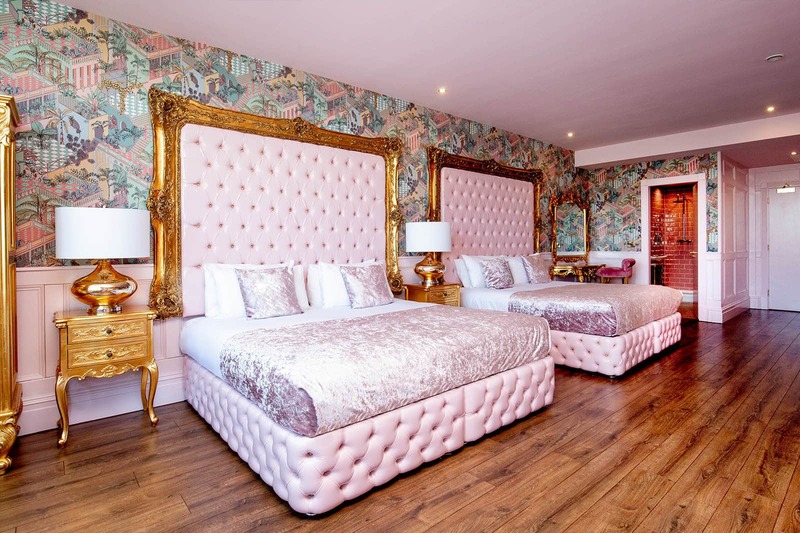 Step into an ancient eastern paradise in the Opium suite. 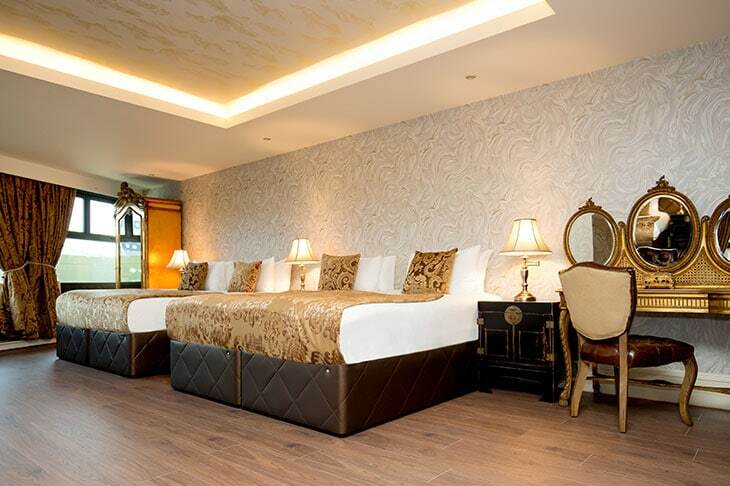 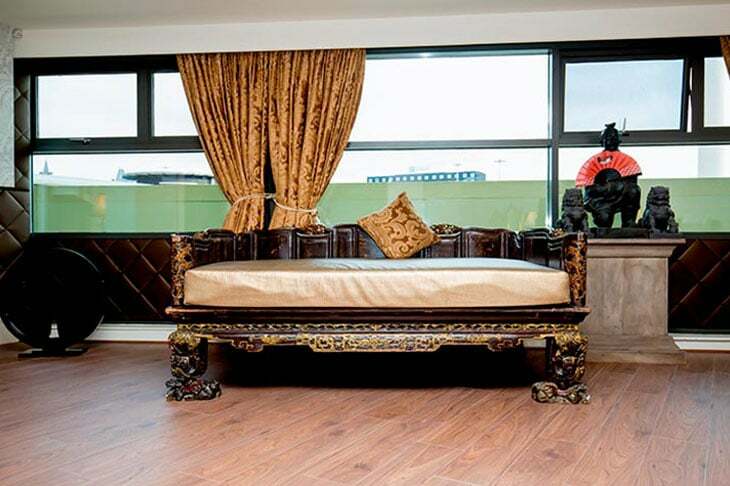 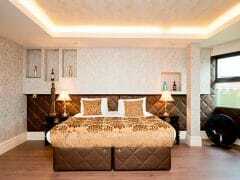 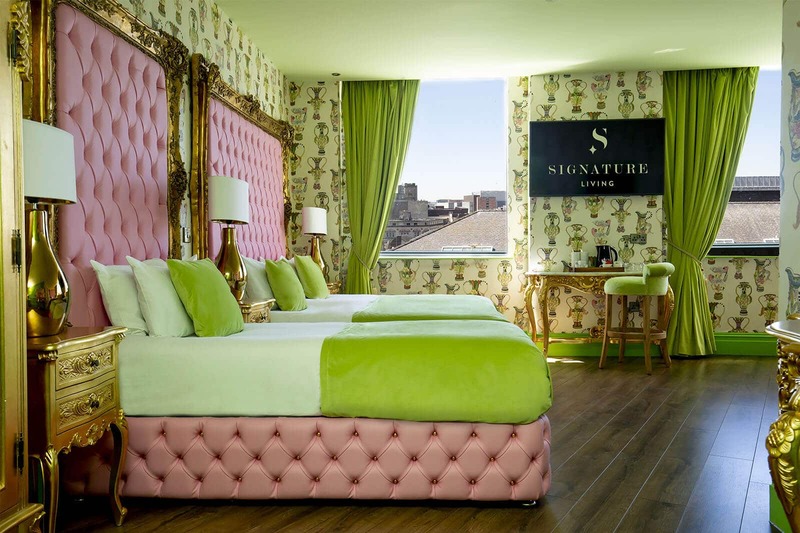 This unique and quirky Liverpool hotel room has an elegant theme complemented by decadent gold walls, black lacquered furniture and opulent features including an intricately carved chaise lounge. 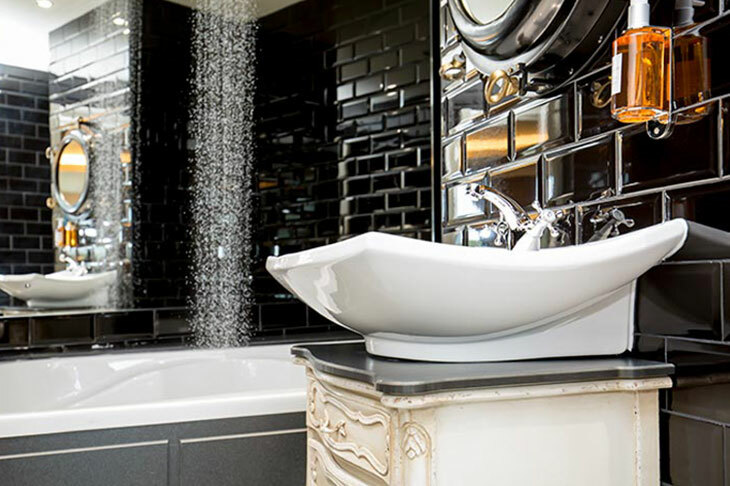 The Opium suite is the perfect blend of ancient eastern riches and cosmopolitan chic. 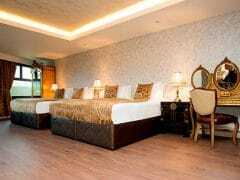 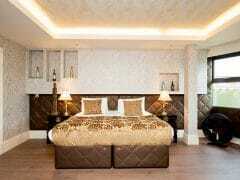 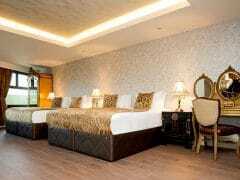 Guests can enjoy a restful night’s sleep in one of three comfortable double beds or relax on a single sofa bed. 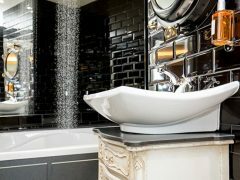 Other elaborate features of the Opium suite include an indulgent waterfall shower, double whirlpool bath and modern kitchenette. 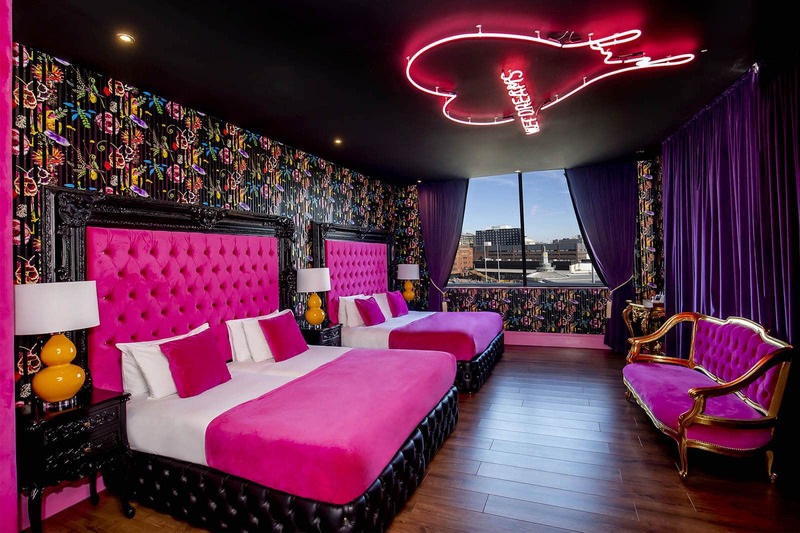 Everything needed for an unforgettable stay in Liverpool. 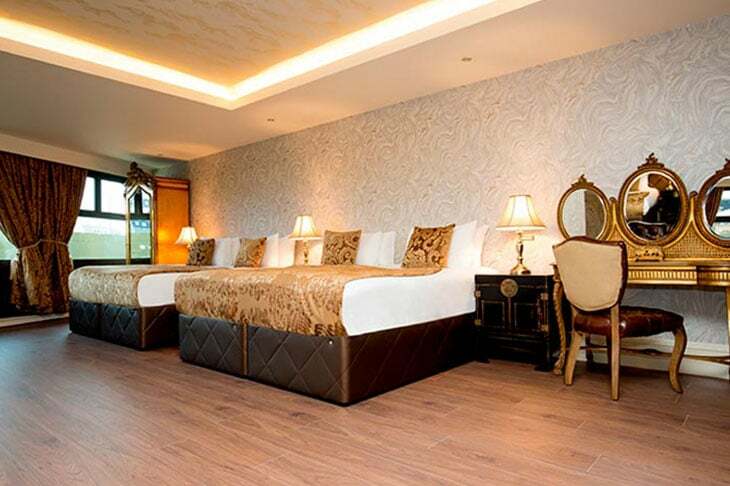 The Opium suite is located within the award-winning Shankly Hotel giving guests access to on-site amenities such as The Bastion Bar and Restuarant, secure underground city centre parking and the Shankly Museum. 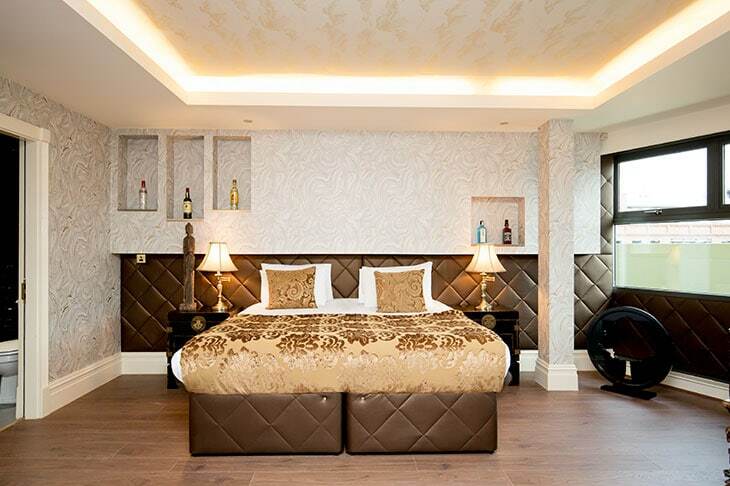 The fantastic location of The Shankly Hotel allows guests to explore Liverpool with ease. 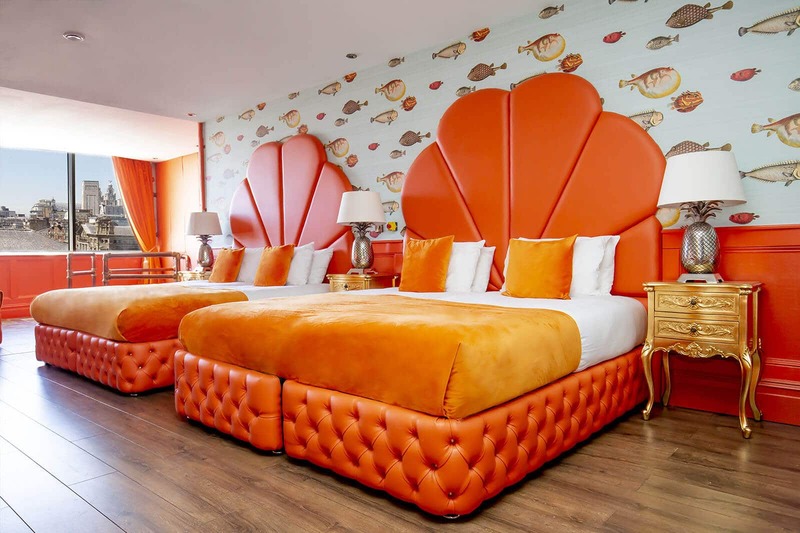 All of the city’s best attractions are within short walking distance including the famed Liverpool nightlife, top shopping districts and iconic city landmarks. 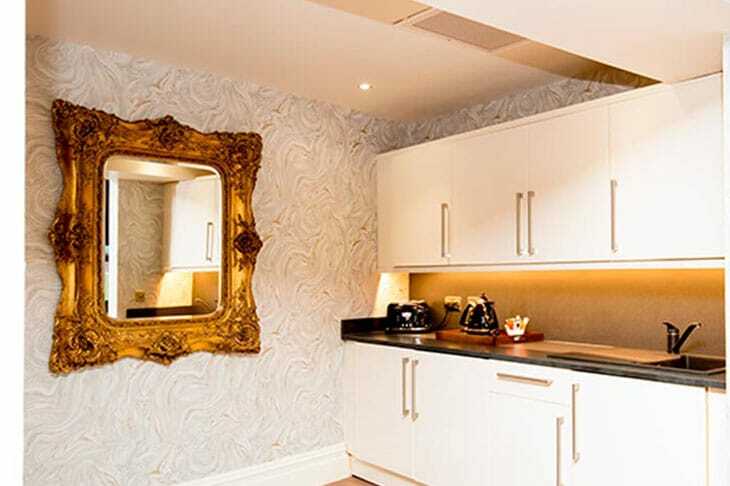 Liverpool Lime Street station is less than a 5-minute walk from The Shankly Hotel, and Liverpool John Lennon International Airport is no more than a 30-minute drive, making the hotel quick and easy to find for our guests. 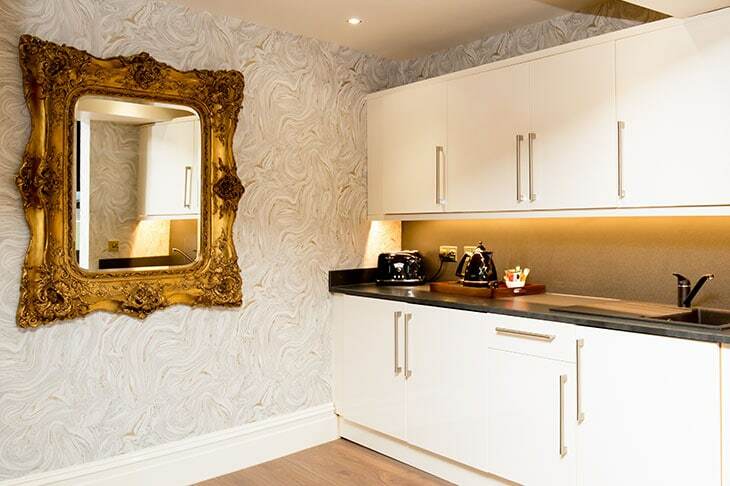 Staying in the Opium suite will ensure that you’re never too far from all of the action meaning you can explore all Liverpool has to offer without spending too much time travelling. 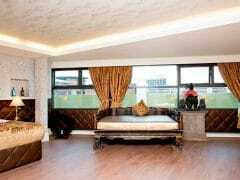 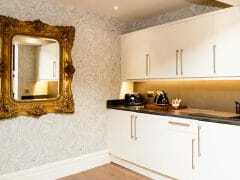 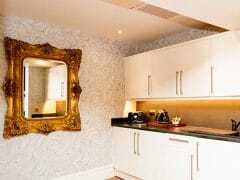 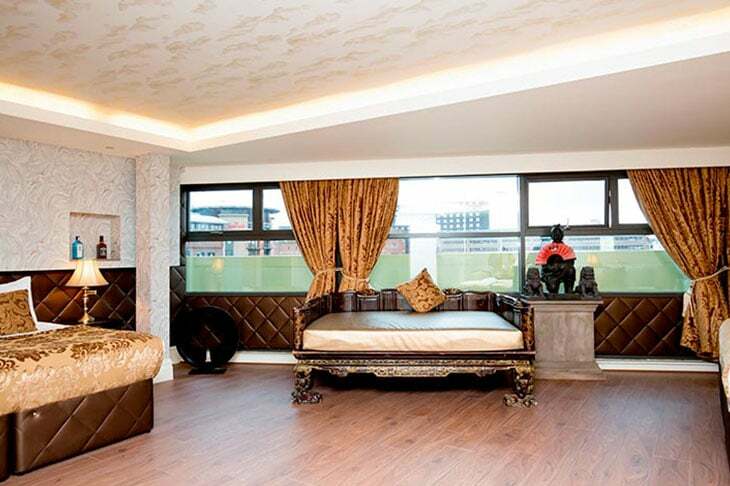 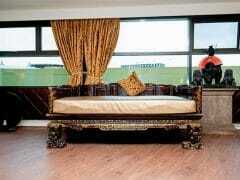 As the Opium suite is located in the heart of the city centre, getting to your perfect apartment couldn’t be easier.